Like many vegans in my generation - I haven't always felt that I was surrounded by people who truly understood where I was coming from. 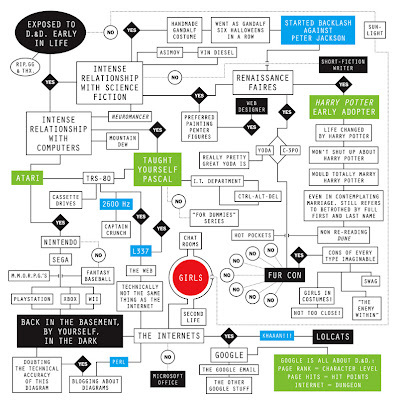 I've always found that strange because to be perfectly honest I've never really understood why because I feel like I can trace my origins back like some kind of circuit diagram through 80s popular culture. I learned that vivisection is cruel from The Secret of Nimh and Project X. I learned that animals don't want to be eaten from The Muppet Movie and that hunting was scary and pointlessly sad from The Muppet Show and Bambi. Circuses are indifferent to the wants and needs of the animals in their care from Dumbo and that wearing real animal fur is more than vanity - it's just mean past the point of being a sane person from 101 Dalmatians. As I was learning that being a human being was a privilege, I also learned that it came with a responsibility to protect those who couldn't protect themselves and that included their homes - from The Lorax. Now it would be really easy right now for me to rant here about how the new Lorax movie is being used to greenwash companies that aren't doing all they really can to live up to the message of this book but others have already done that and to be honest - this is my happy place. Here is where I focus on the positive things - like how this movie will hopefully introduce our friend with the orange mustache to a new generation and how I hope a handful of them grow up to continue where I will have to leave off someday. Here is where I share cupcakes made with organic cotton candy. So please enjoy these cupcakes and remember "Unless someone like you cares a whole awful lot, nothing's going to get better." Heat oven to 350. Put your cupcake liners in your cupcake pan. In a large bowl, blend all the cupcake ingredients with an electric hand mixer for around 2-3 minutes. You want your batter to be light and airy. I find it helpful to tilt the bowl slightly to help the batter get more more fluffy. Fill each cupcake liner 2/3 of the way and bake for 5-8 minutes for mini cupcakes and 8-10 minutes for regular sized cupcakes. You'll know they are ready when you can remove a bamboo skewer or toothpick form the center cleanly. Let them cool on a wire rack before decorating. While you're cupcakes are cooling, make your frosting. In your favorite mixing bowl, blend Powdered Sugar, Margarine, Vanilla, Mint Extract, Food Coloring and Soy Milk with an electric hand mixer until smooth and creamy. If it is a little thick blend in more Soy Milk or add more Powder Sugar if it is too thin. Fill your frosting gun with the mint frosting but skip putting on the tip, then place your cupcake very close to the gun and press out a large dollap of frosting. I wanted mine to be all wonky like the hills in the book so I made mine a little off center but if you want them more uniform - cool! Break your Bamboo Skewers to the desired length for your tree trunks and place them in your cupcake at the desired angle. Now this might actually be the hardest part of this whole recipe. If your Cotton Candy already came in fluffs - you're in luck but if it came in one large piece like mine - you'll need to do a little tinkering to make your tree puffs. But here's the part that is tricky, Cotton Candy melts when it is touched. 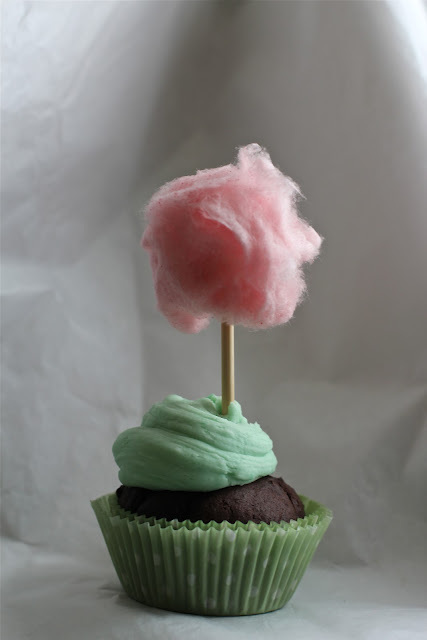 So pour your Cotton Candy into a bowl and then using a fork gently fluff your Cotton Candy while gently twirling it to create a puff - that looks like cotton ball. Then use your fork to place the Cotton Candy puff onto the Bamboo Skewer. Now repeat that process about a dozen times for regular sized cupcakes or 2 dozen times for minis and you'll have your own little forrest of magical trees - that ya know you'll eat but you'll eat them with a clear conscious knowing that no animals were harmed in the making of these treats that I hope will make us all excited again about The Lorax message and introduce him and veganism in a light hearted way to the little eaters in our lives. 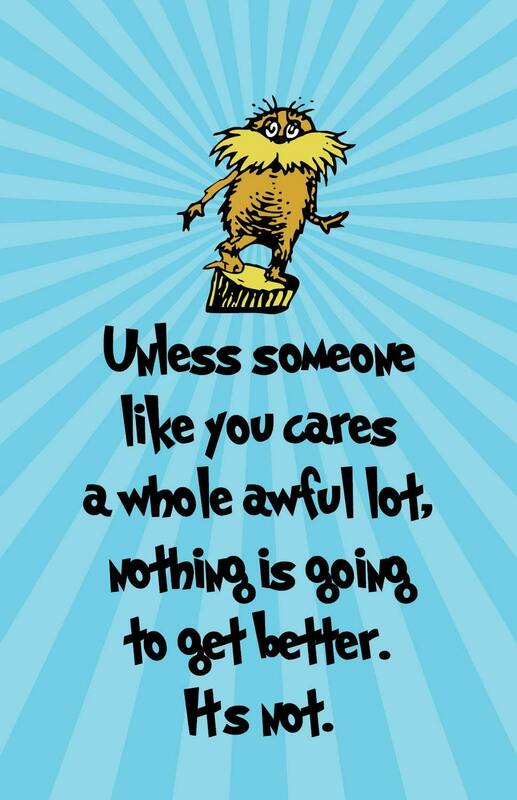 I love this, and love the Lorax, and just about anything else by Dr. Suess!! I know what you mean about 80's cartoons...which is why my nephew is on a steady diet of scooby doo, care bears, disney and muppets. I just introduced my kids to Captain Planet and they grew up reading The Lorax. They too don't understand why everyone doesn't care about animals and the environment. I love everything about this post! The fact that animal rights themes are prevalent in many movies geared towards kids is so at odds with everything else that kids get inundated with in our culture. I think people, kids especially, are compassionate, but unfortunately, society masks the truth behind food production such that pigs become bacon and cows become burgers in "happy" meals. I went to see the Lorax last weekend, and I was pretty disappointed in it (the Lorax is probably second only to the sneetches on my list of Dr Seuss books). I strongly prefer the tv special. I think your cupcakes would make a perfect dessert for a viewing of the classic! Thanks for such a great post! I can't tell you how much I completely agree with what you said. I never understood why I was the only one crying at Dumbo and still don't understand why my co-worker thinks it's ok to wear fur. I did see The Lorax and loved the message it presents to kids. My hope is that they understand the message and use it today and in the future. These cupcakes look great! 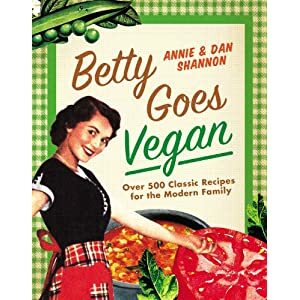 I'm want to try to make them, but I'm currently out of the country teaching English in Peru, where they are not too accommodating to vegetarian and vegan diets. What would you recommend using instead of the 2 teaspoons EnerG Egg Replacer? You could substitute 1-1 1/2 bananas. It'll be a bit more moist but I think they'd still be really good! If you make them - please send me pictures! I could never use margarine in anything, it is a chemical that your liver does not recognize as food, there must be something else for the vegan community. Since I am not a vegan I will use butter. If a parent blames "evil society" for "masking" the truth regarding food production and its' origin, they should stop pointing a finger and address the three fingers.pointing back at them! My 6 year old has no sugar coated views because I never allowed it and am a forthcoming and honest parent.